In life we find ourselves negotiating for most things. Sometimes we negotiate with our employers, sometimes with teammates, sometimes with clients and sometimes with our spouses and children. Back and forth negotiation is everywhere. Working with others to get them to yes, and to secure a mutually beneficial agreement can be a very powerful and useful skill when developed properly. Unfortunately, many people consider negotiations to be a battle or fight that should end with winners and losers. 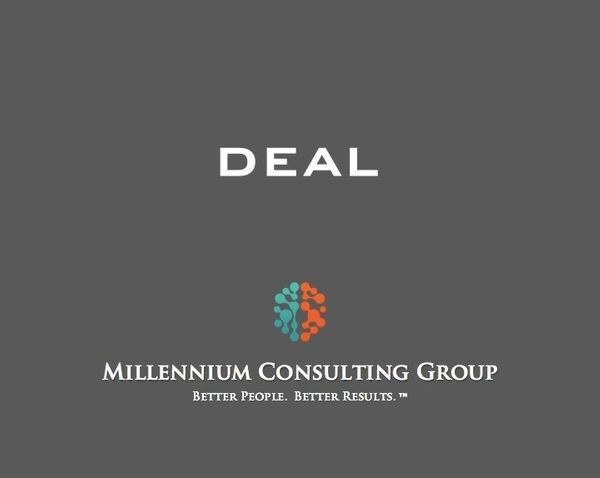 The best know that dealmaking is really all about reaching a "win-win" conclusion. Win-win negotiations build trust and smooth the way for future opportunities. In this talk we cover three of the more commonly reported corporate deficiencies: Asking for the business, negotiation and closing. This talk is one of our more specific sessions and in it we delve deeply into the practical and tactical elements associated with successful Deal making.